For years, Marvel Studios shied away from putting one of its heroines in her own solo film. Captain Marvel changed that in a big way. After an opening weekend of $153 million domestically, Captain Marvel has proven to be one of Marvel’s biggest hits. Now, it’s become only the seventh Marvel Studios film to cross the $1 billion mark. Via Deadline, Captain Marvel reached the $1 billion milestone on Tuesday when its domestic gross reached $358 million. Internationally, Captain Marvel has taken in roughly $644 million. Captain Marvel had already surpassed Wonder Woman‘s worldwide total of $821 million to become top grossing female superhero movie. However, Wonder Woman still reigns domestically with a $412 million record. Captain Marvel would need approximately $54 million to catch up to Wonder Woman in the United States. But with Shazam!. Hellboy, and Avengers: Endgame coming later this month, that goal may be out of reach. Captain Marvel is unquestionably a blockbuster hit regardless of whether it catches Wonder Woman‘s domestic total. Marvel Studios’ Kevin Feige recently hinted at potential sequels that could explore where Brie Larson’s heroine has spent the last two decades. 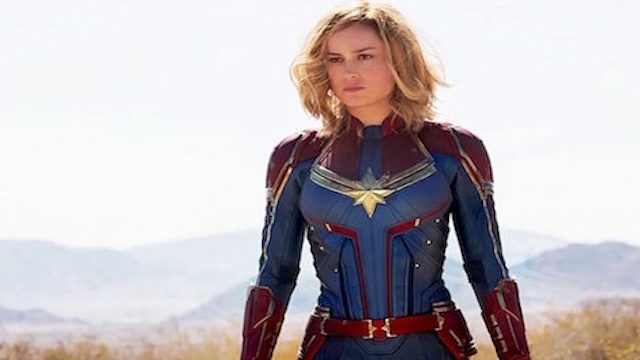 Captain Marvel will also have a large role in Avengers: Endgame, which should solidify her place on the team. It may even set up her new status quo in the present. However, we’ll have to wait a few weeks to see how that plays out. How do you feel about Captain Marvel’s box office milestone? Will the film catch up to Wonder Woman? Share your predictions in the comment section below!